Outdoor heating is slowly catching on as we all attempt to lengthen our summers and thwart the early nip in the air. Each of us long to spend more and more time outside enjoying the fresh air of fall, which proves tricky once the temperatures shift and dip. 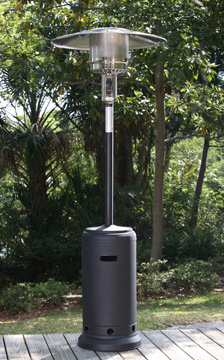 There are effective solutions to this problem with Warmzone’s line of outdoor heaters. You can install a fire pit or simple plug in a free standing portable outdoor heater and prolong your summer and fall nights under the starts. Outdoor entertaining is more popular than ever and more hosts/hostesses want to create a comfortable, relaxing atmosphere for their guests. Outdoor heaters can give much needed time to an evening under the stars. Wine and dine your guests as the sun sets and the air takes on the cooling temperatures of dusk. You can light your fire in your fire pit for a glowing, more intimate setting or fire up your stand alone outdoor heaters and let guest mingle beneath their cast off warmth. 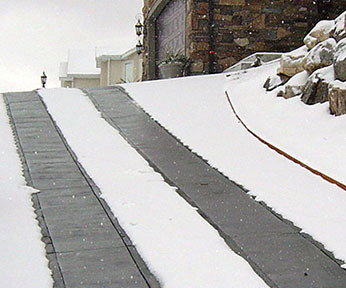 Jackets and evening wraps will not be in demand since your overall atmosphere will have a warm and cozy feel to it thanks to your outdoor home heating products from Warmzone. Even if you’ve never heard of a heated bidet before today, you owe yourself the favor of reading on to learn about the five simple rules for enjoying and benefiting most from the healing comfort and luxury a bidet toilet has to offer. Remove the Stigma: Contrary to what you may have read, heard, or even seen, bidet toilets are fast becoming a homeowner’s bathroom staple. A heated bidet is not just for a fancy French hotel anymore. Submit Yourself to the Comfort and Luxury: Owning a heated bidet is not enough. You must submit yourself over to the comfort they can provide and the level of cleanliness and luxury that comes from owning a bidet toilet. Be Healthy: Getting healthy and staying healthy is not a passing fad. Health professionals are starting to “prescribe” bidet’s for patients, especially those who are suffering from painful hemorrhoids or fissures. Don’t be Afraid of Installation: In today’s world you can order almost anything online now and have it shipped directly to your home. A heated bidet is no exception. 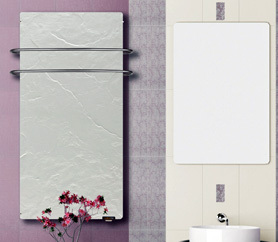 Warmzone sells several models that will come straight to you and installing them in your bathroom is a snap. You can phone an expert to help walk you through it or follow the online guides. Customize the Bidet to Fit Your Needs: Everyone is different, that is especially true when it comes to our bodies. A bidet toilet is easy to customize and simple to use. You will get the most benefit if you cater it to your specific needs and temperatures. Seriously, what’s not to love about radiant floor heat? This affordable, energy efficient method of home heating is fast becoming a superstar in home improvement projects as well as the first go-to heating method of new construction. 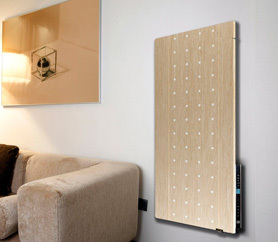 If you have a home or an office building and you live in a cold climate you will have to install some form of heating. Radiant floor heat has some star qualities that might help you decide to install a heated floor system. Silent Operation: The way a radiant floor heating system is installed allows it to be virtually noiseless when operating. This quiet operation is more relaxing for everyone inhabiting the dwelling or building. Air Quality: Without the forced air from a furnace stirring up the air, creating dust particles, you enjoy a higher quality of air when using radiant floor heat. This aids those with allergies and helps to keep dust accumulation lower. Heat Distribution: Using radiant heat means the entire space/room gets warmth thanks to the even distribution of radiant heat. 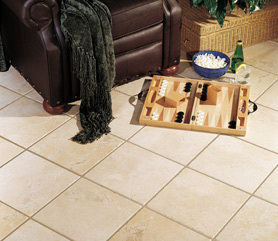 Comfort: Tile, hardwood, or laminate surfaces tend to get very cold in the winter. Heated floors gives the added benefit of warming luxury as you walk across an evenly heated floor. Energy Efficient : You are more likely to feel warmer with your system set at a lower temperature which means your system doesn’t have to work as hard to reach your comfort temperatures and also doesn’t have to work as long, running only when you set it to run at the exact temperature you specify.